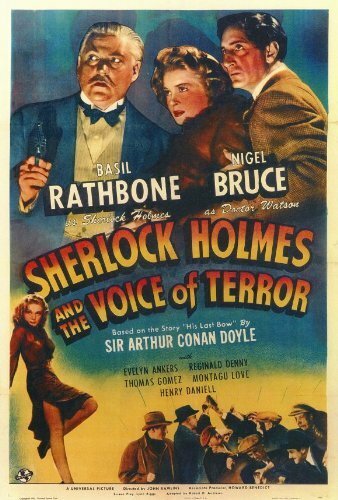 When a Nazi saboteur jeeringly predicts to the nation new depredations, via their radio ‘Voice of Terror’, the Intellegence Inner Council summons Sherlock Holmes (Basil Rathbone) to help in the crisis. 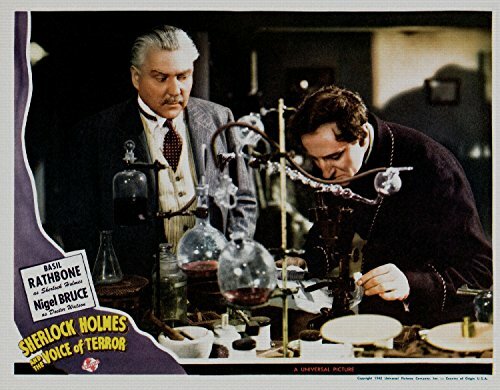 Holmes and his companion, Dr. Watson (Nigel Bruce), are visited the first night of their investigation; a man falls dying from a knife wound on their doorstep. 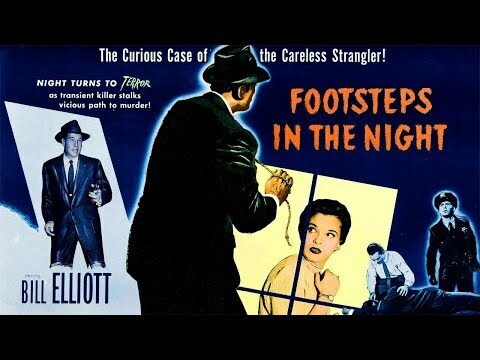 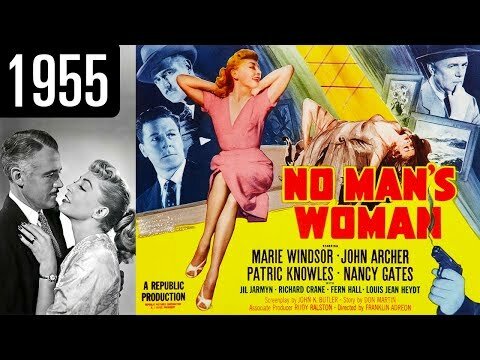 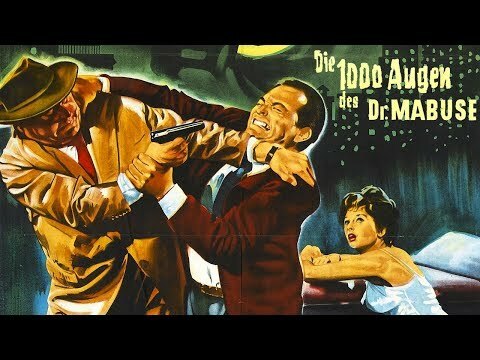 His last word leads Holmes into the slums where he encounters Kitty (Evelyn Ankers), the sweetheart of the slain man.